Fired US Attorney Preet Bharara was investigating a key member of President Donald Trumps cabinet, a new report has revealed. 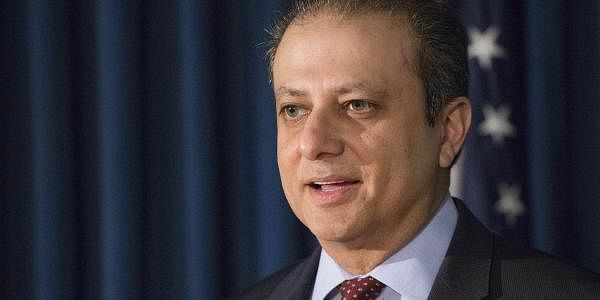 WASHINTON: Fired US Attorney Preet Bharara was investigating a key member of President Donald Trumps cabinet, a new report has revealed. Bharara was looking into allegations that Tom Price, the Health and Human Services Secretary and the administration's point man on efforts to repeal and replace ObamaCare, improperly traded healthcare stocks while he was a member of the House of Representatives, New York Post reported on Friday. Price maintained that he broke no laws when he traded healthcare stocks even as he was involved in legislation relevant to the healthcare sector. He traded over $300,000 worth of shares of relevant companies during a four-year period in the House, the report said. The issue played a significant role in Price's confirmation process, and he was asked about it numerous times during his Senate hearing. The revelation that Bharara was investigating Price comes as many were surprised the US attorney from the Southern District of New York was not retained by the Trump administration. The then-President-elect had met with Bharara after the election and during the transition period, Trump had reportedly asked him to stay on during his administration. But last week, Attorney General Jeff Sessions notified all leftover federal prosecutors appointed by President Barack Obama would be let go. Bharara, however, refused to go and was fired by the Trump administration, the Post said.